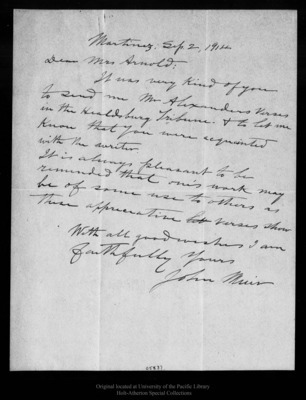 Letter from John Muir to [Mary J.] Arnold, 1914 Sep 2. Original letter dimensions: 28 x 22 cm.